Michael Rosenbaum takes a dip in The Koy Pond with Jo for a podcast about Filipino text messages, Chris Farley, and Smallville. #eatyeast Make sure to check out Michael’s show ‘Impastor’ on TV Land. 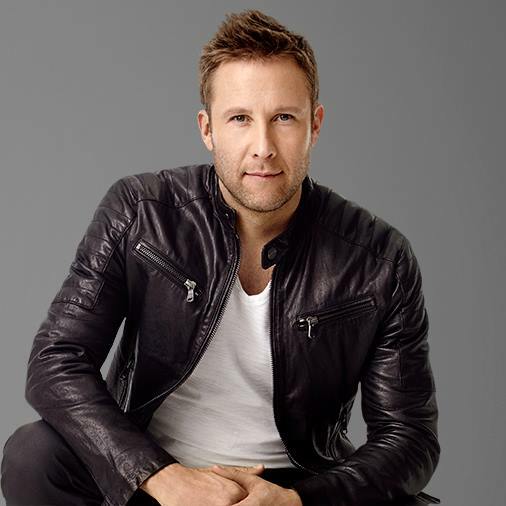 First hour: Ed welcomes actor, producer and director Michael Rosenbaum (Impastor, Smallville). New episodes of Impastor air Wednesday nights on TV Land. Also in this hour: Tony Figueroa and Donna Allen remember soap opera pioneer Agnes Nixon and the anniversary of the original 1966 broadcast of It’s The Great Pumpkin, Charlie Brown. Second hour: Ed welcomes back actress, author and teacher Dee Wallace (E.T. : The Extraterrestrial, Cujo, The Howling, The Frighteners, Just Add Magic). Topics include one of Dee’s earliest and most important screen roles (an appearance on Lou Grant), her new children’s book, On Dandelion Seed (which she co-authored with Keith Malinsky), and Buppa LaPaloo, a stuffed teddy bear created by Dee that also serves as an important teaching tool for children ages four to seven. Dee Wallace will appear at the Mystic Journey Bookstore, 1624 Abbot Kinney Blvd., in Venice, CA on Saturday, Nov. 12 beginning at 7pm. Also in this hour: Longtime radio personality Sam Yates shares a clip of an interview he did with Star Trek actor James Doohan in the 1990s. I came across this old podcast of Michael on a show called The Game Over Greggy Show and it is so funny as always so give it a listen! 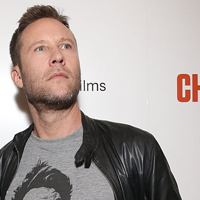 Michael Rosenbaum joins The Lunch Podcast this week talking about the new film Back In The Day, which not only features him in the lead as part of a talented cast (including Morena Baccarin, Harland Williams, Isiah Mustafa and many more) but also marks his debut as a feature-length screenwriter and director. We dined at Greenblatt’s in West Hollywood, and talked about topics ranging from his decision to shoot in his hometown, trying to bring back the art of the tasteful poop joke, the mythical Italian taste treat known as the Stromboli, why your indie film’s title can’t start with ‘O,’ and many and various other topic while discussing his debut as a feature-film director. Back in the Day will be in theaters on Friday the 17th, and is currently available on video-on-demand. This week we play an exciting game of “Play it Forward” where Michael Rosenbaum has to match wits with last week’s Decently Funny guest: comedian/actor Steven Brody Stevens. Watch Michael Rosenbaum, Nick Swardson, Harland Williams and Morena Baccarin in Back in the Day available on Video On Demand starting 1/7/14. Theater release 1/17/14. Follow us all on twitter @mrosenbaum711 @theNuzzy @theguydf @littleboatjack & @DecentlyFunny. Download all of our shows on iTunes, Soundcloud, Stitcher and DecentlyFunny.com. Theme song written by Little Mikey and performed by Panic! at the Disco.